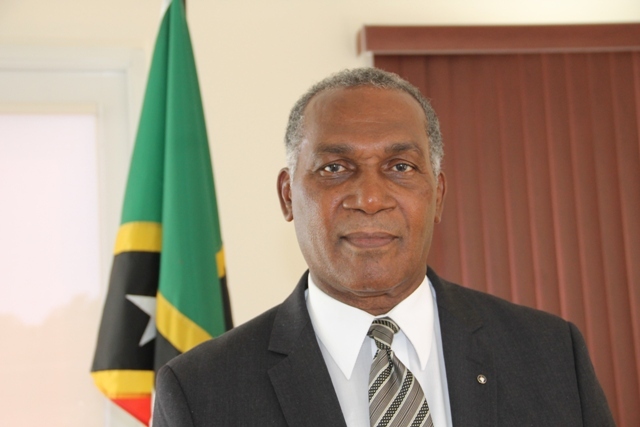 Today I am indeed very sad at the passing of one of our Permanent Secretaries Mr. Carl Williams, the husband of one of our Ministers of Government Hazel Brandy-Williams. It is for me, a time which speaks to deep, deep sadness. I knew Carl as a boy growing up because we lived in the very same area in Gingerland – I in the rectory and he just across Church Ghaut. The families which lived next door and myself were always very close. The family of the Reverend Maslyn Nisbett and so on. It means, here we are someone who I have known. Someone who I have grown to have great respect and a love for as a young man, who has served the country as a teacher. Served the Gingerland Secondary School as deputy head and then at the Prospect School as the head of that school. Then he migrated into the tourism sector in the Tourism Ministry and doing exceptional good work quietly but resilient, knowledgeable, and to know that suddenly he is taken away from us. I really do feel for his wife Hazel and it was my privilege to go there on the night of his passing to offer my comfort and to share my condolences with her and the family. Now, we are at the point where, we have to recognise that in all of the challenges and trials of life, life is fleeting and I want to express to Hazel, that we in the Nevis Island Administration will do what we can, to ensure that her husband is given the type of send-off which he richly deserves. I am aware, that most of the family who most of them are overseas and some who are here, will feel this loss deeply. More deeply than I could ever feel because of the closer ties but to us who are left to mourn, it is for us to recognise that in the fleeting hours of our lives that we need to be sober. We need to be vigilant and we need to recognise that we are here for a moment and we should seek at all times, to live at peace with our brothers and to do what we can to make the place in which we live a better place. So, as I make this expression of condolence, I want to say to Hazel again and to her family, may God bless you. May God give you the strength. May God comfort you and also to the people of Nevis, let us be humble in what we do.